Helen has practised yoga for over 25 years in the tradition of Krishnamacharya and has experienced personally how yoga can support us through personal and health challenges. She has completed a three year Diploma course with the KHYF, has a British Wheel of Yoga teaching qualification and is particularly interested in working with individuals in a therapeutic way. She is a member of the Society of Yoga Practitioners(TSYP), the British Council for Yoga Therapists and the Complimentary and Natural Healthcare Council and has studied at the Krishnamacharya Yoga Mandiram in Chennai, India. 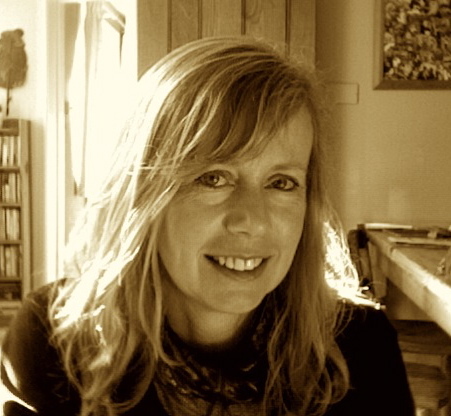 Helen has a particular interest in the use of sound and Vedic Chanting. Helen has a background in Psychology and has a Level 2 Counselling Skills Qualification. She is also an experienced schoolteacher in both mainstream and Special schools and has an interest in making yoga accessible to all ages and abilities through fun and creative teaching. She is also currently supporting Andy in running a Teacher Training/Integration Course in this tradition in Crawley, West Sussex. Helen is also running a Vedic Chant Training Course with her chant teacher Radha Sundararajan and senior teacher Gill Lloyd in Crawley and Scotland.